Down-time means lost productivity! 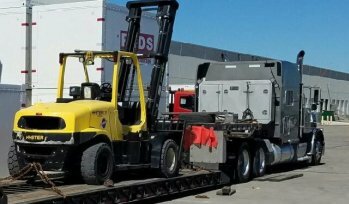 Our field and shop technicians are factory trained professionals with experience on all the major makes and models of forklifts. 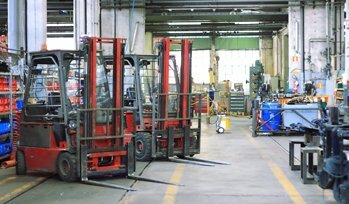 All of our Service Technicians are fully Certified and Trained on Crown Lift Trucks, Toyota Forklifts, Raymond Forklifts, Bobcat, Nissan Forklifts, Clark Forklifts, Mitsubishi Forklift Trucks, Yale Forklifts, Caterpillar Forklifts, Terex, Kalmar Forklifts, Taylor, Genie Lifts, Komatsu Forklifts, JLG Lifts, Hyster Forklifts, TCM Lift Trucks, Heli Forklifts, Doosan Forklifts, Linde Forklifts. Our service vans are equipped with GPS tracking to reduce response time and they are stocked with a wide range of replacement parts for your equipment. We offer affordable planned maintenance and full service programs as well as emergency dispatch. Our service department can help reduce your downtime and increase profitability. Call or come by one of our three locations to learn more about a service or maintenance program that's right for you! GET A FREE ESTIMATE TODAY AND YOUR SERVICE WILL INCLUDE A FREE COMPLETE COMPLIMENTARY OIL CHANGE ON YOUR FORKLIFT ONCE YOU APPROVE THE ESTIMATE. Through the years, we have built strong relationships with the best Hauler of Forklifts and Equipment. 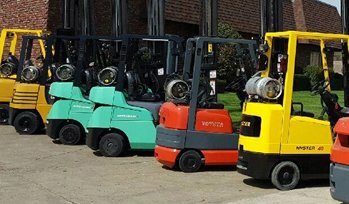 Rush Forklifts Technicians have extensive knowledge of all Makes and Models of Forklifts. Our technicians perform repairs efficiently. Images are subject and protected by copyright laws.